We just uploaded photos of the five new commissions "Composiciones" on Latitudes' flickr. 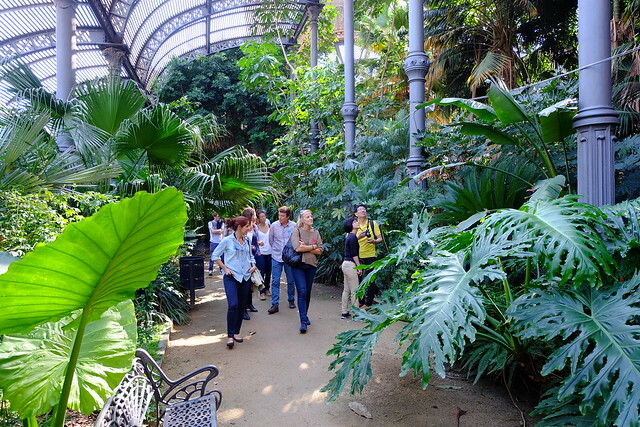 These projects by artists active in the Barcelona art scene complemented the first Barcelona Gallery Weekend (1–4 October 2015) programme of exhibitions and events. Each intervention responded to site and context-specific private and public location outside the contemporary art circuit – a private psychoanalytic library, the former home of the director of a ceramics factory, a public botanical collection, the home of a former priest and an invertebrate fossile collection. Map of the five locations for the temporary projects. Commissions by David Bestué (at the Factory complex Cosme Toda, L'Hospitalet); Dora García (at the Biblioteca del Campo Freudiano); Jordi Mitjà (at the Museu Geològic del Seminari de Barcelona); Rasmus Nilausen in collaboration with Pere Llobera (at the gardens of La Central bookstore, Raval); and Daniel Steegmann Magrané (at the Umbracle, Parc de la Ciutadella). 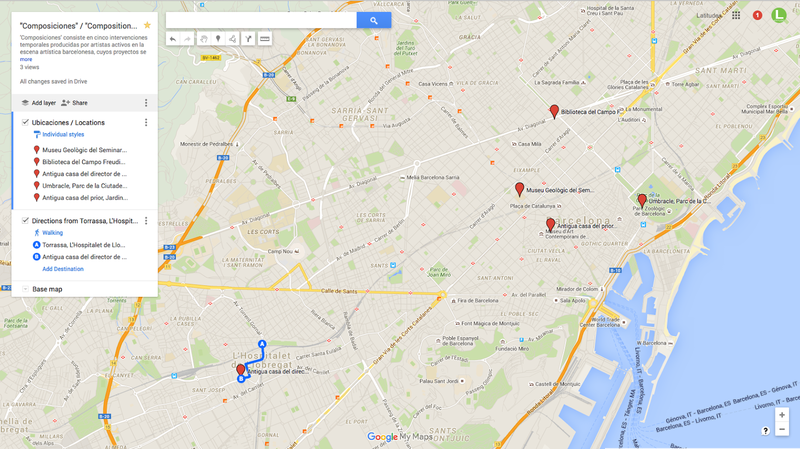 Details of each project and locations. 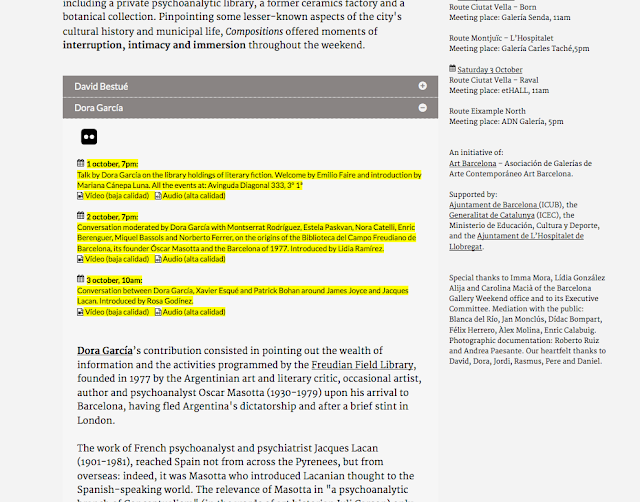 Also on our website (highlighted in yellow where to locate it) you'll find the links to the audio and video documentation of the three talks led by Dora García as part of her intervention at the Biblioteca del Campo Freudiano. We recommend you read a nicely written account of these three sessions (in Spanish) by two of its participants. On the same page and under 'Related content' you will find links to the press coverage related to 'Composiciones'. The most extensive and in depth review so far has been this considered and detailed blog entry by Barcelona-based art critic and curator Fede Montornés, which of course made us really happy. And last but not least, we gathered the many tweets, instagram, press links, etc. that appeared in the last few weeks in Storify. Details of the Barcelona Gallery Weekend programme.